Fundraiser by George WuKong Cheng : Help the Huni Kuin defend the Amazon Rainforest. Help the Huni Kuin defend the Amazon Rainforest. As you may or may not know, Brazil has elected a far-right-wing leader who is deadset on demarcating indigenous territory and extracting natural resources from the Amazon along with disenfranchising the indigenous populations who have been fighting deforestation and for their human rights for decades. The Huni Kui are just one of the hundreds of indigenous populations whose entire way of life are being directly threatened under the new political party. 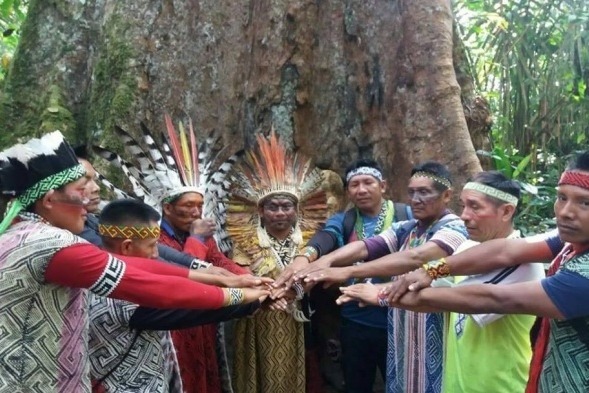 This fundraiser is to directly support them in coming together to have an important 5 day gathering with their leaders, who are spread throughout the Amazon, to devise a response strategy to withstand the threats entailed by the new administration in order to preserve their way of being and their ancestral land. Your donation will provide food, transportation, lodging, and other expenses that come along with an event like this and will allow the tribe to come together and fight for their future. WHO ARE THE HUNI KUI? 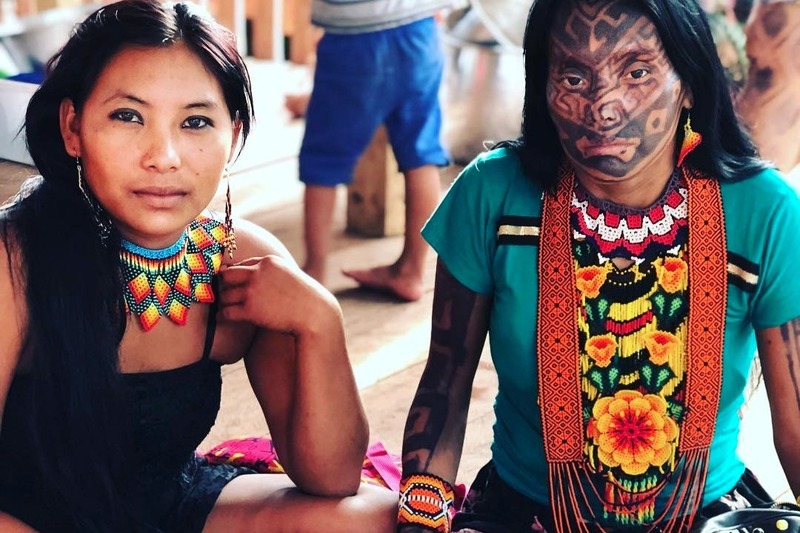 The Huni Kui are an indigenous ethnicity present in the state of Acre, Brazil, and Peru, who fight to preserve their own culture, customs, values ​​and language. With a population of more than 12,000 people, its political organization in Brazil, in 2017, when the Constitution was created, consists of 94 Villages, 12 Indigenous Lands, of which 11 are demarcated, homologated and registered, and one in the process of identification; these territories are located in the municipalities of Marechal Thaumaturgo, Jordão, Tarauacá, Feijó and Santa Rosa. 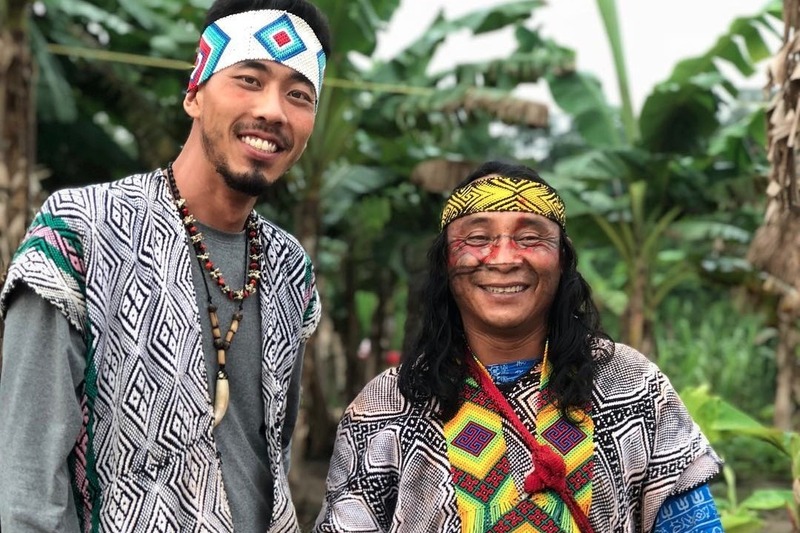 After a long process of rediscovering their roots and ancestrality, remembering their culture once forbidden and censored, the Huni Kuin finally enter a new era, the time of the indigenous right, defending their culture and natural resources. Tadeu Siã Txana Huibe with a message of unity for Brazil and the world. In May 2019 we intend to hold the Huni Kui leadership meeting in Rio Branco, Brasil, with our pajéres (our spiritual leaders and traditional healers), caciques (our political leaders), and women and youth leaders. We need resources to pay for this event, as we seek to bring 5 representatives from the 104 villages to this extremely important dialogue. The expenses of an encounter such as this is not something we can afford on our own. As many will travel by 4 days via boat, some by boat and small plane, andsome by land. With your donation, we can afford to make that encounter happen and pay for all invited to come. The budget will be used to cover the cost of transportation (boat, plane and ground transportation from the villages to Rio Branco), accommodation and food for the representatives, as well as multimedia equipment and production costs for a multimedia team to cover the event. Every donation matters, big or small, and will help to bring all the invited guests so that they can speak about their realities, their problems, and their causes. Together we can come up with a survival and an action plan. You can donate any amount you choose. Deep gratitude from the bottom of our hearts for your support. 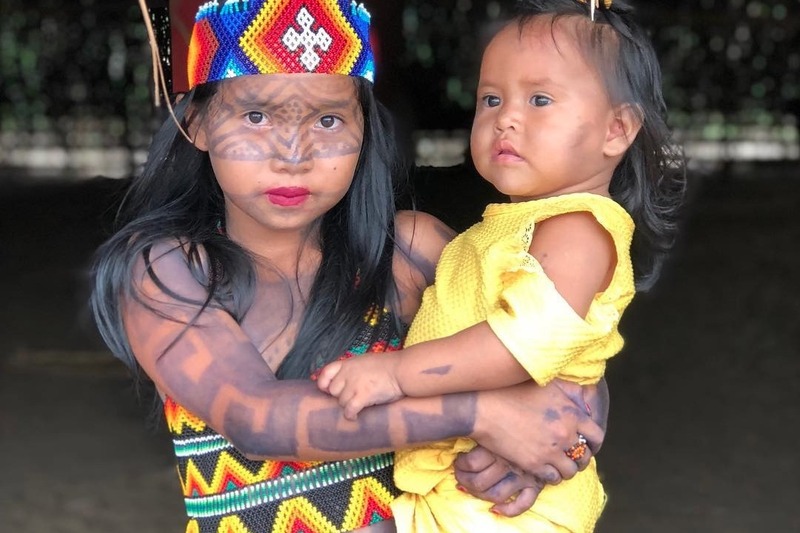 The Huni Kui People's Federation of the State of Acre - FEPHAC-Nukun Huni Kuinen Beya Xarabu Tsumashun Ewawa, is a civil non-profit organization that brings together the various Huni kui associations, organizations and communities in Brazil. In summary, Fephac is constituted and recognized as a representative institution of the Huni kui people in any matter of collective interest, and since it's founding, it has been acting to ensure and promote autonomy, with a strong role in the defense of cultural heritage and the search for cultural empowerment, and protagonism. As a native people, we have given our contributions to the planet and one of the greatest examples of protection and preservation of the Amazonian forest with all its bio diversity. The forest is our home and in our culture, the forest is a sacred place, and is now being threatened by Brazil's new political leaders and corporate interest aiming to extract natural resources. After the first acts of the new president, the collapsing of the Ministry of Justice, which FUNAI (National Foundation of Indians) and SESAI (Secretary of Indigenous Health) are apart of, there are now no government agencies to offer us support and security. We are concerned about the future of our generations, our culture, and the forest. Our plan is to have a meeting with our people in order to come up with strategies on how we can defend our home and we need your support to hold this great meeting. With our leaders, we will discuss a plan and organize for situations that are already occurring and those that are yet to occur. We are counting on you and the Huni Kui people as well. Thank you again, from the bottom of our hearts and the heart of the forest. Haux Haux !! George Cheng is a 1st generation Mongolian-Manchurian-Taiwanese-American who currently resides in Oakland, California. He is a professional artist / arts educator by trade and has been deeply moved and inspired by the ways of the jungle and it's people. George first came in contact with the Huni Kui in 2013 while living in Rio de Janeiro, Brazil. 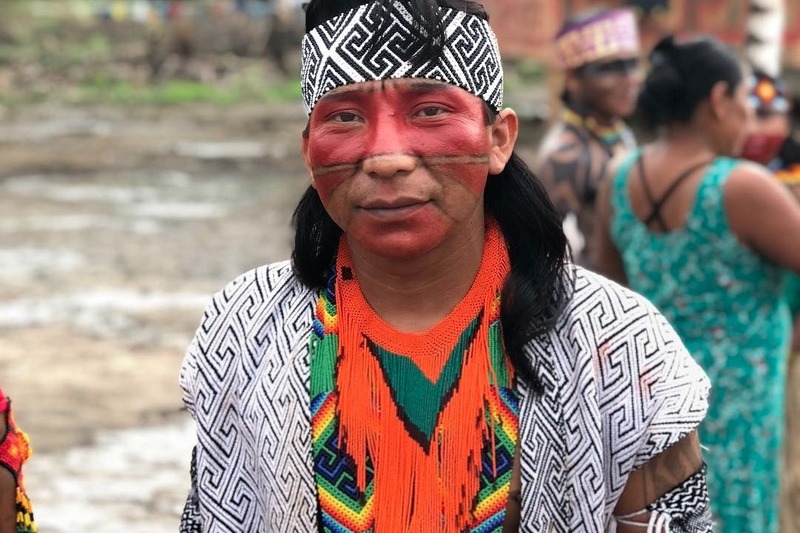 At the end of 2018, he made the journey to the village of Novo Futuro (New Future Village), in the indigenous region of Humaitá, Acre, Brazil, where he spent time connecting with and learning from the tribe. Since then he has become a true believer and supporter of what the Huni Kui people have to offer the world as the guardians of the sacred ways of the forest and as a result, is finding ways to give back to and support the people. waves and waves of support and generous donations from people all over the world. 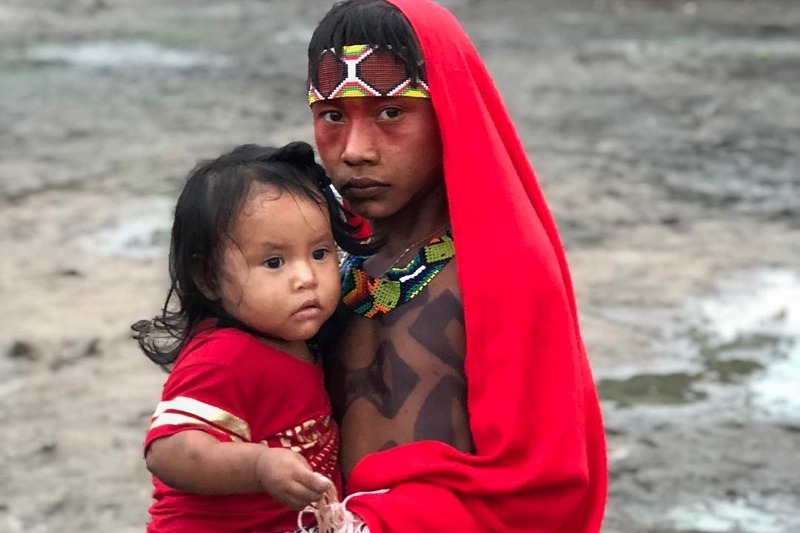 this isn't just about the indigenous in brazil, this issue represents a right to life for all of us considering the impact destroying the amazon would have globally. thank you to those who took the time to give something. and if you haven't yet, please like, comment, share, and donate! let's keep spreading word and supporting our relatives in the forest.